Our Beauty Salon Towels are made with 100% SOFT COTTON Material for Higher Absorbency and Durability. 3lb Economy Grade. -LONG LASTING AND MACHINE WASHABLE. -DURABLE QUALITY, SUSTAINS MULTIPLE WASHES. USE OVER AND OVER AGAIN. PREFERRED BY SALON AND HEALTHCARE PROFESSIONALS. -IDEAL CHOICE for Nail Shops, Beauty Salons, Homes, Gyms, Offices, and More! -SCRATCH FREE AND LIGHT WEIGHT. IDEAL FOR CLEANING & DRYING GENTLE SURFACES. SOFT AND ABSORBENT, WORKS GREAT ON WET SURFACES. 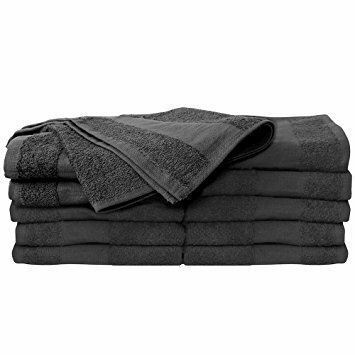 -To make sure that your towels stay fresh, you need to wash and dry them properly. Proper washing and drying are going to make sure that they stay fresh and last a longer time. - Wash towels separately from all other items of clothing as it will decrease the transfer of lint to other clothing. IDEAL for Nail Shops, Beauty Salon, Home, Gym, & Offices. If you have any questions about this product by Imperial Front, contact us by completing and submitting the form below. If you are looking for a specif part number, please include it with your message.